Everyone’s entitled to have an opinion. Heaven knows, I have my own – on many issues. However, there is a huge difference between informed opinion and just the spouting off at the mouth type sans having any substance to back up what one opines on. One of my all-time favorites has to do with the building of the high-speed rail system in the state of California. At least one dairy farmer in a news report had expressed that the high-speed train line, a part of which would be built across family owned property that, when open for service, would be so terrorizing to the dairy cows, that they wouldn’t be able to give milk. I would really like to know what batch of scientific evidence this conclusion was based on. Please, if you know, enlighten me. 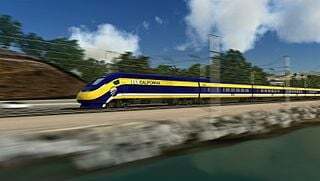 For those not familiar, California’s is America’s first bullet train project to be voter-approved and publicly funded. Los Angeles and San Francisco are planned to be high-speed-railroad linked through the San Joaquin Valley (Phase I of the project) with future connection to Sacramento and San Diego (Phase II of the project), a system that is due to be 800 miles in length at full build-out. Now there are those detractors who surmise that nothing beyond what is currently being constructed in the San Joaquin Valley connecting Madera with Wasco in the central and southern portions, respectively, will come to fruition if, for no other reason, than the belief the funds needed to finish the job, as it were, will not come forth. Question: Did such a situation ever stop the beginning of the construction on a highway when it was known at the time said construction started, that the money or monies to fund the completion wasn’t or weren’t fully in hand? I am hard-pressed to come up with an instance. But, oh, how many times I have heard the clarion call that the high-speed rail project should be sidelined due to the lack of availability of all of the funds upfront to completely cover the cost of construction. Let me count the number. By that logic, no one should be allowed to finance the purchase of a car or home, due to, as it were, there being a lack of all funds on hand during time of signing. Ya think that’s why a concept known as “loans” was created? Or, is it that maybe, just maybe, there is this overarching paranoia among detractors about the risk in forging ahead on such a massive undertaking? Perhaps just like the misplaced fear of the aforementioned dairy farmer convinced of his cows being frightened by trains speeding past cow pastures and pens, under such conditions thus preventing said bovines from giving milk. To me, it’s nothing more than hearsay, conjecture and it’s silly. Yet, the conjecture keeps right on coming. In this part, McEwen cites McClatchy’s Sacramento Bee political and commentary writer Dan Walters who opined: “‘All in all … it’s likely that the bullet train as envisioned, linking San Francisco and Sacramento in the north with Los Angeles and San Diego in the south, won’t materialize.’” In my way of thinking, it could just as well have been explained “it is likely that it will.” It is all in how we choose to see things. Would it be wrong to suggest the latter? Interesting how McEwen sees things. He wrote: “Walters is right. Odds are that Californians won’t get the bullet-train system they voted for in 2008.” And, seemingly in the same breath, The Fresno Bee columnist proceeds to share with the paper’s readers that high-speed rail construction in the Valley continues with dollars in the hundreds of millions yearly being injected into the economy. Does that sound like a prescription for failure and grounds for not continuing to build the line beyond the Valley and through the Tehachapi Mountains and into southern California and across or through Pacheco Pass and into the South San Francisco Bay Area? Not in my book it doesn’t. If anything, sentiment like that kind seems to me to be just the type to inspire confidence. That right there to me is reason to keep moving forward. The other primary justification is environmental. By 2040, according to projections, 33 million will be riding California bullet trains annually. Key word here: projections. And, they won’t all be Californians riding but a good many will and that means less impact on road and air travel, which, presumably, will result in far fewer greenhouse gas, criteria pollutant and toxic emissions releases. Moreover, the California high-speed rail project is being constructed using equipment that is among the cleanest-burning anywhere. Rare, if at all, that I hear this as it relates to road-building activity. Opinions are a dime a dozen. Most everyone’s got one. But those that are based on facts – having facts to back them up, in other words – are, in my view, the ones that I see as credible and the people that have these, I have the utmost admiration and respect for. And, for my money, it doesn’t get any more real than that! Foreign tourists will help with funding. They can relate to HSR, why can’t we? I think much of the opposition is generational. I’ve seen it myself, and others have reported similar things. In my case, it was while promoting a light rail line where I live as an alternative to a four lane highway. While this is in mostly rural West Virginia, this also happens to be the eastern panhandle of the state, and Harpers Ferry is only about 50 miles from Washington, DC, and commuter trains run as far west at Martinsburg, which is about 75 miles. My argument was to avoid the mistakes of Washington and Baltimore; the former has a highway with 12 lanes that’s like a parking lot. I put together a paper on this, finding all sorts of benefits (including reduced construction cost–not moving so much dirt and rock around). For my trouble I was told I was trying to take away everyone’s cars, was trying to bring back the horse and buggy, and was told this wasn’t a Communist country. What stood out was the age differences. Those who like the idea at the time (25 years ago) were generally under 40 or over 70. Those who hated it were almost all between 40 and 70. The road was disputed for a long time, and while all that went on everybody got older. The break points moved up, to 45 and 75, to 50 and 80, to what I now estimate to between 65 to something over 90. I think it has to do when you come of age, which is at about 20 years or so, at least according to psychologists. This is the age in which you mostly crystallize a lot of your thoughts, about how the world works, how you fit in, etc. For the old crowd, now over 90, that coming of age would have been at latest around 1950 for people born in 1930 or earlier. Those people would have grown up in an America that wasn’t so car dominated as it became later. Trains were part of the landscape for them, as were trolley cars in cities of any size. The young crowd, now under 65 or so, would have been born, at earliest, in 1953–and would have come of age around the time of the first OPEC oil embargo in 1973. They, and those born later, have never known a world of really cheap gas, or a time of no serious traffic problems. This bunch is also more environmentally aware than anything older. The group in the middle, born between 1930 and 1953 (more or less–this sort of thing is never precise) would have come of age between 1950–as autos became very ascendant–and that first OPEC embargo in 1973. They grew up in the world of “Hot Rod Girl” and “See the USA in your Chevrolet.” This bunch sees bringing back rail service as a step backward, as undoing progress. And of course, most leaders are older, which is to be expected; it takes time to work your way up. Things are changing, but it does seem we need to see a few more retirements and even funerals for change to really come. I think you make a great point. Opposition is disproportionately from older folks. Makes me hopeful about our future. Those French cows don’t even flick their ears at the trains! The quantity of methane, which is about 8 times more dangerous to the earth-warming problem than carbon dioxide, which is being produced by this farmer’s cows, gives the local authority no problem at all. Yet it is worse for the earth-warming effect that that which the railway is likely to cause to increase by its use of fossil fuels. Everything is connected to everything else in unsuspected ways, and there is a present-day need and danger to reduce wasting both cows produce and trains exhaust if the earth is to survive with us. Regarding construction and ultimately operation of the California high-speed rail system, I say: “bring it on!” For me, this project isn’t so much about economics as it is about the environment. But, the point here is, if there is an economic benefit, first in the construction of followed by the operation and use of, then this to me is grounds for not only continuing to see this project through, but other similar systems in different corridors all throughout the United States and in other parts of the western hemisphere too. At any rate, if Phase I (Los Angeles-San Francisco) is finished on schedule (2029) and service is promptly begun, by 2040, about a decade later, if projections are accurate and 33.1 million people ride the trains annually, based on the Hamburg-Frankfurt example provided in the aforementioned report, there is every reason to expect emissions savings will be significant even if today’s levels of air and roadway use are maintained. If the economy is helped in the process then that’s gravy. Here too, by 2040, the expectation is roadway travel – cars, buses and trucks – if not air travel modes will themselves be cleaner. Of all regions in California to be served by high-speed rail, the San Joaquin Valley and South Coast air basins stand to be the biggest winners air-quality-improvement-wise. As far as I’m concerned, California high-speed rail can’t come soon enough! Thank you for writing this piece. The negative press and high-speel rail naysayers get far more ink than they should, to the detriment of public opinion and support. Hopefully more voices like yours make their way through the cacophony. When it comes to facts, Mr. Kandel is apparently unfamiliar with the details of California’s HSR project. What the voters approved in 2008 was a rail system that could be run at a profit–i.e., without an operating subsidy. The fact that there’s no private investment in the project now is damning proof that the project underway is not the project the voters approved. If you study the CHSRA 2016 Business Plan, it’s clear they have no way to fund a statewide project. The financing plan is all smoke and mirrors. While rail operators see a profitable business in connecting LA to SF, none is willing to build the route chosen by the politicians of CHSRA, because rail professionals know that route would be a money-loser. As I see it, to stop the project now would be absolutely nonsensical. That said, working, cooperating to make sure the project is built correctly, responsibly and be the best it can be, that this is the approach that should be taken, goes without saying. TRANSDEF is apparently unfamiliar with the details of California’s HSR project. What the voters approved in 2008 is that before California HSR bonds are sold that a plan be provided for operations without a subsidy. The California High-Speed Rail Authority has written a plan, bonds will be sold, and construction will continue. Whether the train covers operating costs will have to wait until trains are running but at that point the bonds will have been sold and cannot be taken back.